You must be 18 with photo ID to get tattooed. 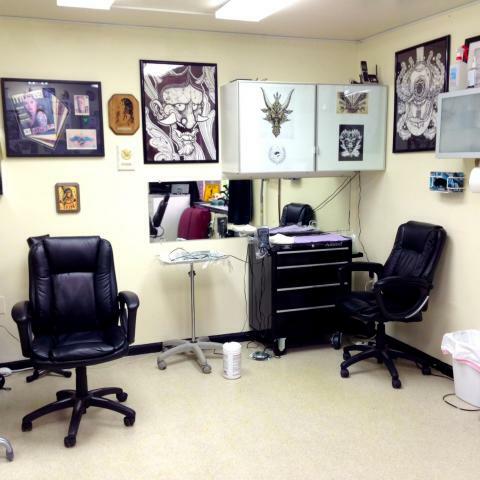 To make an appointment you must come into the shop, choose your artist, and have a consultation with your artist. Appointments require a deposit of 50% of the total session. Deposits are NON-REFUNDABLE, however, you can always use it to reschedule. 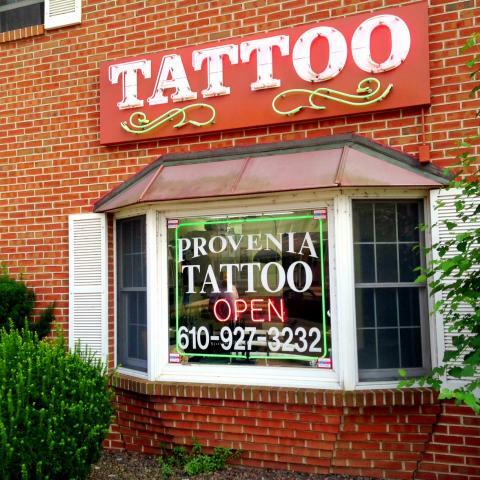 At Provenia Tattoo, we maintain consistency and integrity with many years of experience while providing artistic & vivid tattoos. Our studio practices proper cross contamination procedures (Red Cross Certified). New needles and tubes are removed from sterile packaging in the presence of the client immediately prior to the start of each sitting. Disposable products such as ink caps, razors, wash cups, plastic barriers, etc. are all discarded after each use. Medical grade germicidal solution is used in the cleaning and disinfecting of the station and equipment used between each tattoo. Our goal is to raise the bar & educate the public. We have a responsibility to our community and to our future clients. 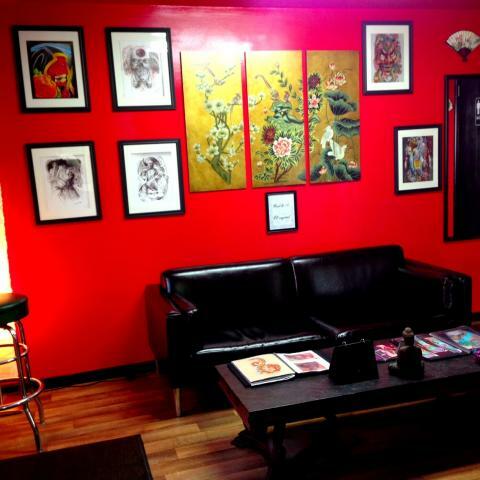 Our experienced artists are committed to giving you the best tattoo experience in a friendly and welcoming environment. See our latest work instantly on our Instagram page. 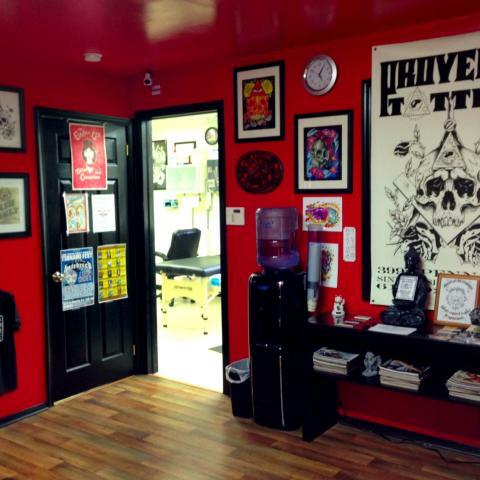 Answers to all your questions about your first tattoo and tattoo aftercare. We know it’s tempting to ask your friends and family about proper aftercare, but we urge you, when in doubt ASK YOUR ARTIST! Just stop on by, your artist will love to see you! You must be 18 with photo ID to get tattooed. NO EXCEPTIONS! Do you also do piercings? Sorry, no. We are a tattoo only shop. Yes! Our studio practices proper cross contamination procedures (Red Cross Certified). New needles and tubes are removed from sterile packaging in the presence of the client immediately prior to the start of each sitting. Disposable products such as ink caps, razors, wash cups, plastic barriers, etc. are all discarded after each use. Medical grade germicidal solution is used in the cleaning and disinfecting of the station and equipment used between each tattoo. We’d be lying if we said it doesn’t hurt to get a tattoo. 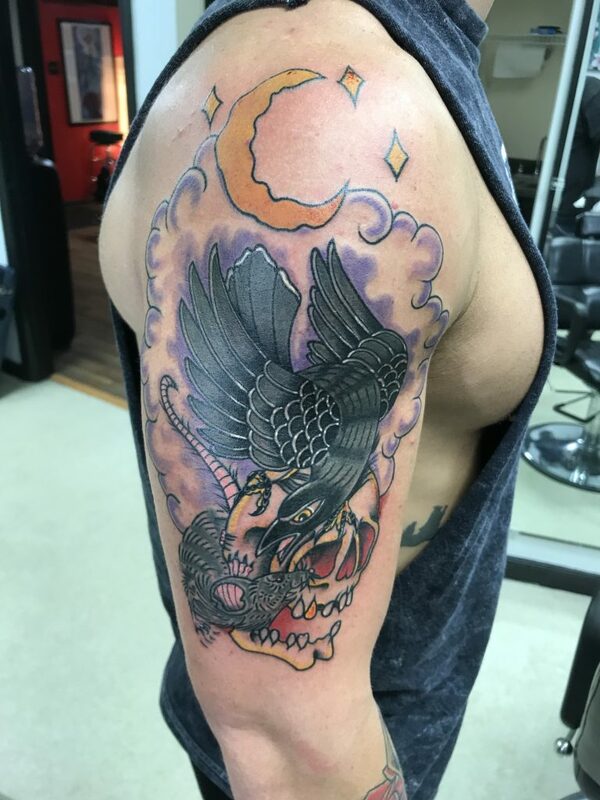 However, the pain from getting a tattoo is an irritation on the outside, like getting scratched over and over, but it is manageable pain. 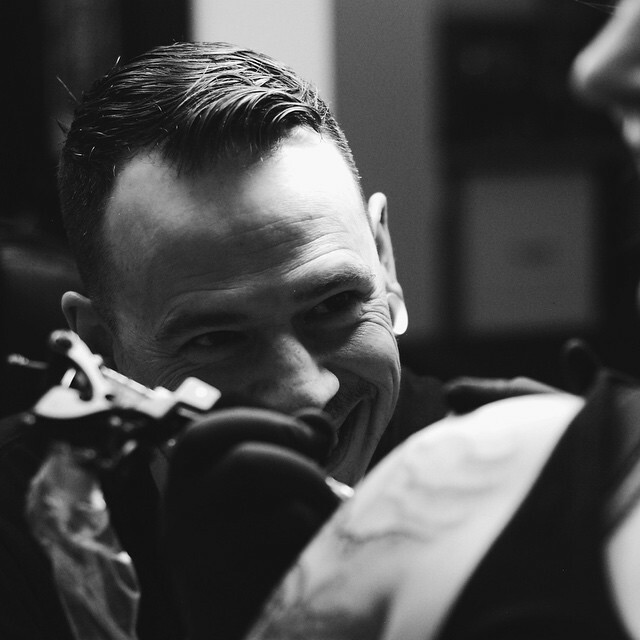 We always say, if you really want a tattoo – you’ll definitely be able to handle the pain! 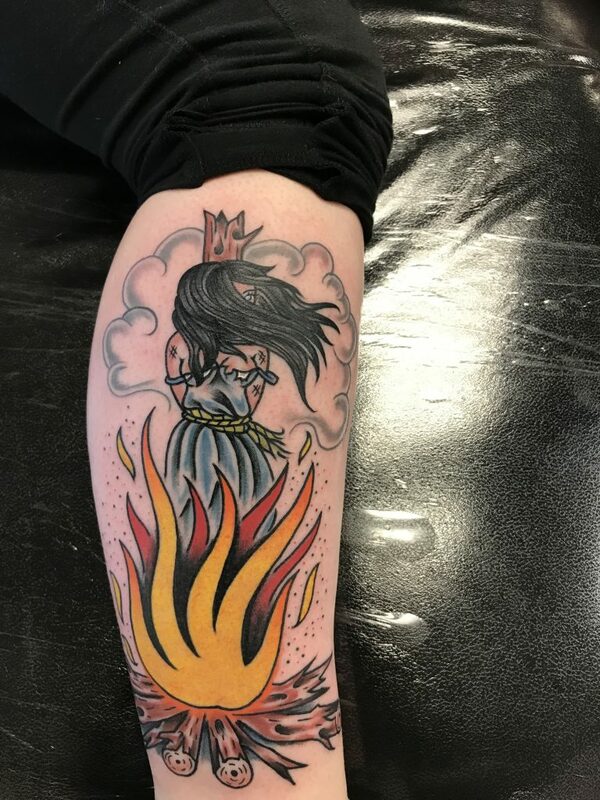 Where is the least painful place to get my first tattoo? For most people, the least painful location is the upper arm. Even still, do you want your tattoo there? It might hurt a little less to get a tattoo on your upper arm, but you should really get it where you want it. If it’s your first tattoo, you won’t know the difference anyways! 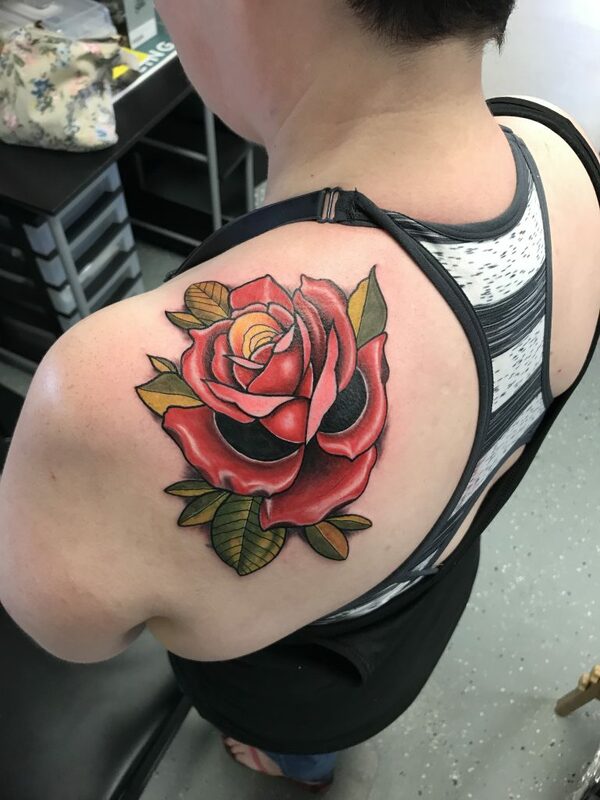 It’s extremely rare that we’ve had someone stop in the middle of their tattoo, and if you need a break – just tell your artist. We can’t really quote prices without a design. Everything is done custom, and pricing goes hand in hand with the design you choose. 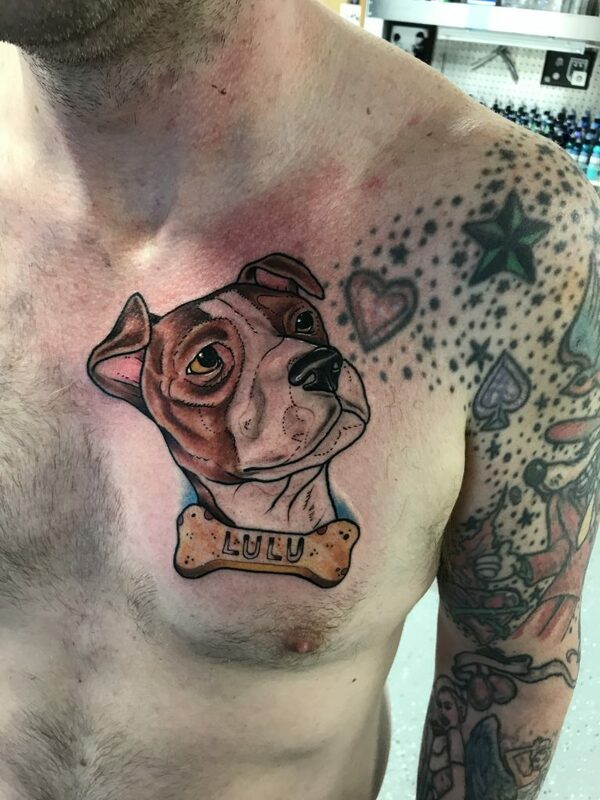 The larger the size, the more expensive the tattoo. Absolutely! We recommend bringing in any reference / inspiration materials you have. This will allow our artists to make sure you’re getting exactly what you want. What colors are best for my skin tone? 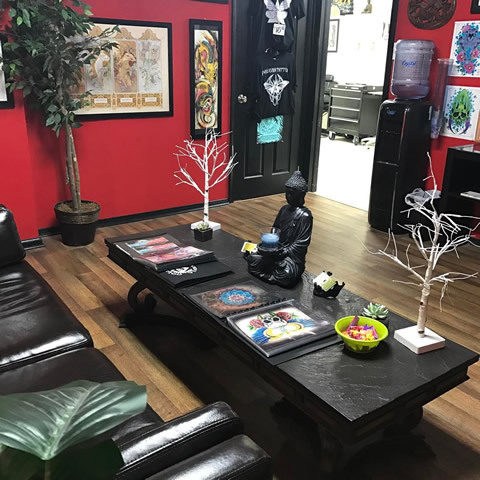 To make an appointment you must come into the shop, choose your artist, and have a consultation with your artist. Appointments require a deposit of 50% of the total session (Cash or Credit). Deposits are NON-REFUNDABLE, however, you can always use it to reschedule. Remove bandage in a CLEAN bathroom after 2-3 days. Bandage should be left on overnight if it feels comfortable and secure. If the bandage is removed on the first night, the tattoo may stick to or stain bed sheets. Maintain clean bedding throughout the healing process (about 2 weeks). 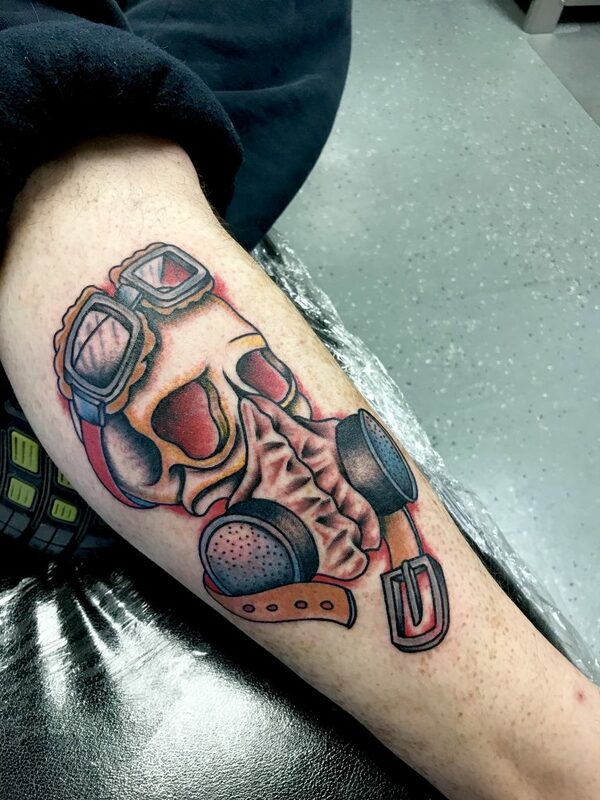 How do I clean the tattoo? Carefully remove bandage and tape. Make a lather in your hand with soap and warm water. Gently clean tattoo using a circular motion, until all ointment, blood, and lymphatic fluid are removed. Rinse the tattoo and wash once again, gently, until the skin is clean. a hair dryer on the ‘cool’ setting may be used; a clean paper towel may also be used to dab the tattoo dry. Only use CLEAN HANDS to wash your tattoo. NO washcloths, bath towels, bath sponges or loofahs on a fresh tattoo. Once a day, in the shower, is usually enough cleaning for any new tattoo. Consult your artist if you plan to do any strenuous activity within the first ten day of having your tattoo. Lotion may be applied to the tattoo as it dries out; however if your skin is extremely sensitive, lotion may cause acne- like break outs. This can be taken care of by reducing the number of lotion applications per day. What do I put on my tattoo? Once the tattoo is dry apply AQUAPHOR healing ointment, made by Eucerin. Apply a thin layer and rub it in, then dab excess off with a clean paper towel. Use the Aquaphor for the first 2 weeks. My tattoo is weeping! Now what? Fresh tattoos sometimes “weep” during the first couple of days, meaning that plasma and ink form a thin moist coating on the skin. This can be DABBED with a clean paper towel. Press the paper towel to the skin and remove. Do not wipe the tattoo or be rough with it. Do not panic when you see the colors of the tattoo on the paper towel, or on your hands as you clean it. This is simply excess ink being sloughed from the surface or the skin. 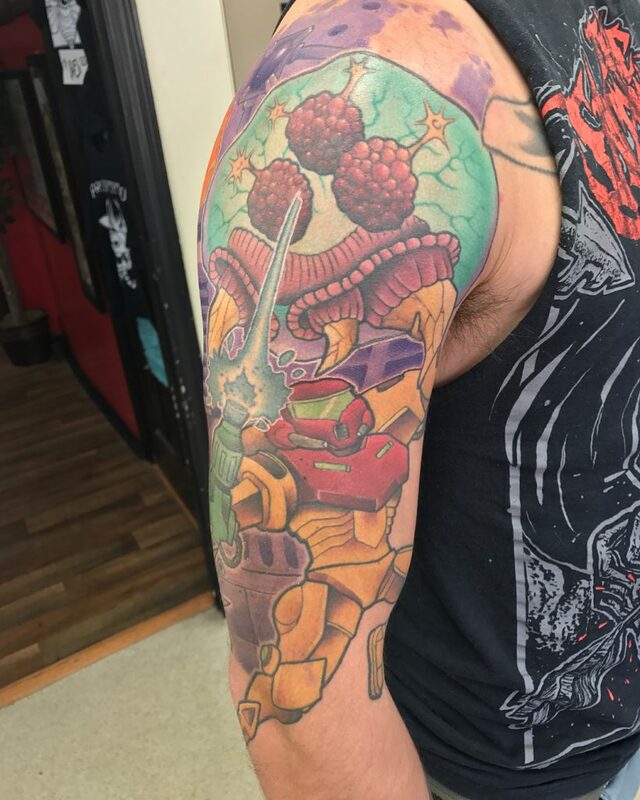 What should I wear over my fresh tattoo? Wear loose, preferably cotton clothing over the fresh tattoo. The tattoo need not be rebandaged except in certain, rare instances. A bra strap, tight waistband, sweaty gym shoe or itchy cotton sweater can potentially create healing problems. Consult your tattoo artist for advice on what clothing to wear/avoid. If you choose to re-bandage your tattoo after washing be sure that only sterile bandages are used. 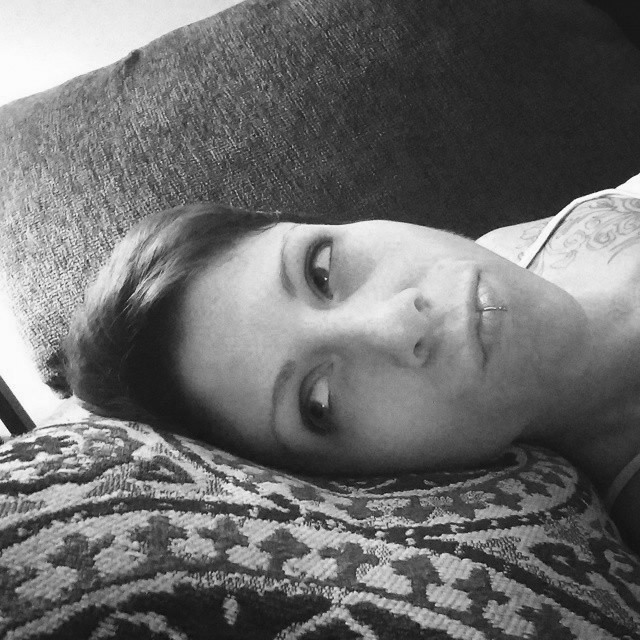 What if my tattoo is scabbing and itching? 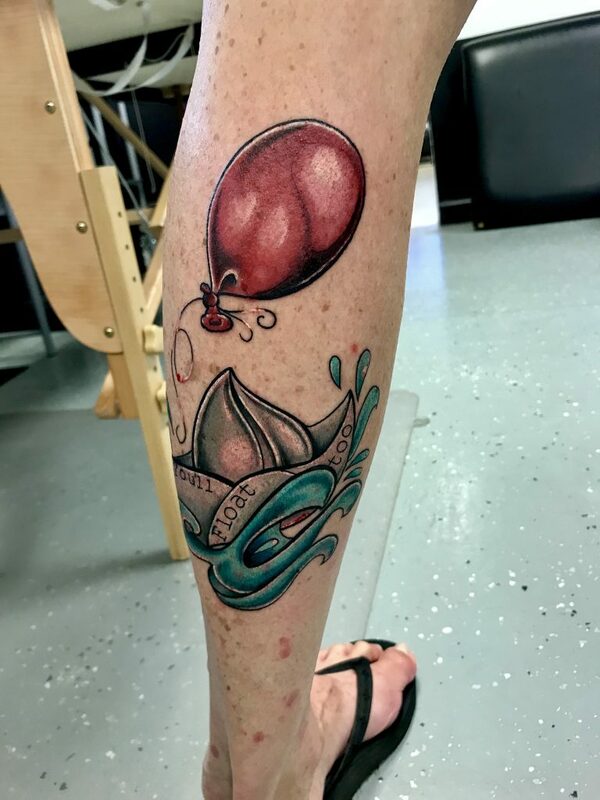 After a few days, the tattoo will begin to form flaky scabs that will fall off on their own. DO NOT PICK OR SCRATCH AT YOUR TATTOO. Keep it moisturized and the scabs will slough eventually. Once again, they will be the color of the tattoo. 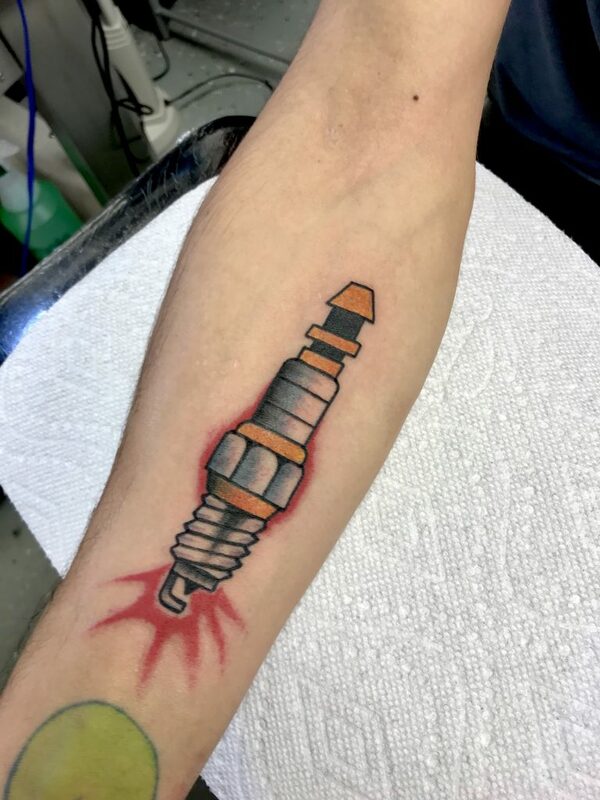 It normally takes 2-4 weeks for a tattoo to completely heal. If you have ANY questions about your healing, please contact one of our artists. Please do not consult your friends about healing issues, as everyone’s experience is unique. Our artists are more than happy to help with any concerns you might have. Can I still go swimming? Not right away. No soaking in water (swimming, baths, sauna, hot tub, etc), especially chlorinated water, for 2 to 3 weeks or until tattoo is totally healed. 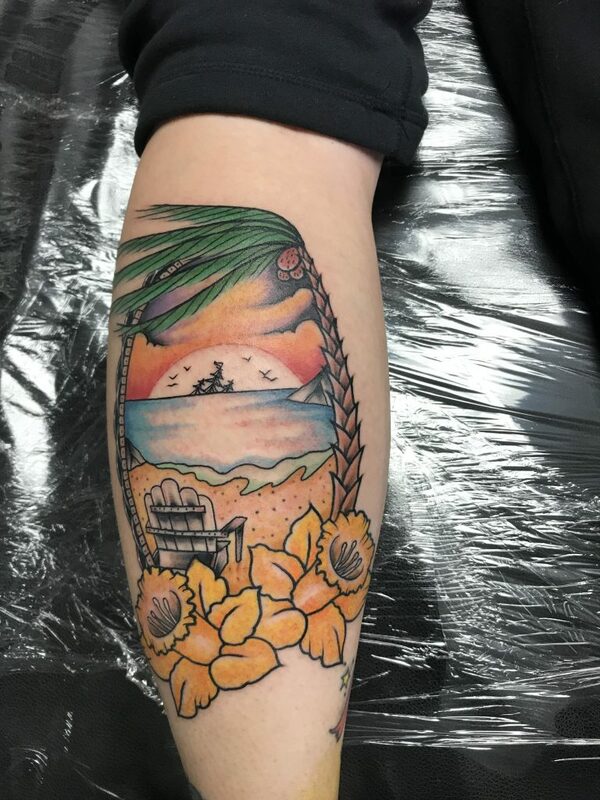 Will sunlight fade my new tattoo? Yes. Keep your tattoo out of direct sunlight for a minimum of 1 month. After a month, use 30+ sunscreen any time you are in the sun. © 2018 Provenia Tattoo. All rights reserved.